We had such a busy, fun weekend. On Saturday my team and I walked in the Crohn’s walk. It was an absolutely gorgeous day and I had 22 people join me for the 3-mile walk. I so appreciate my friends and family coming out to walk with me (hopefully some of them are reading this). It was a great time and I can’t wait for next year. On Sunday, we had our first kickball game of the year. We played old vs. young and the young team won this time. Sadly, I am on the old team. Yesterday I had the day off and since the weather was finally beautiful and not sweltering, I got to bake. This recipe is amazing for so many reasons. First, it has the word “skinny” in the title for a reason. They are actually pretty healthy. They’re full of protein rich peanut butter and oatmeal instead of oil and flour. Second, they taste nothing like a health conscious brownie and more like chocolate peanut butter fudge. They’re gooey and rich and excellent cold with a glass of milk. Finally, you get to use your blender for this recipe. That doesn’t happen often. Preheat the oven to 350 degrees. Spray a 8×8 inch pan with non-stick spray and set aside. Put all of the ingredients, except for the peanut butter, into a blender. Putting the liquid ingredients into the blender first makes blending easier. 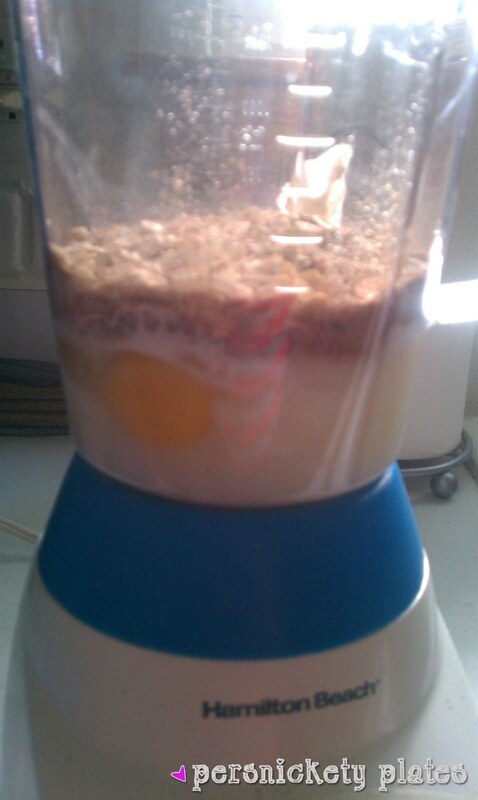 Blend until the mixture is smooth and oats are ground up. Microwave peanut butter for about 30 seconds. 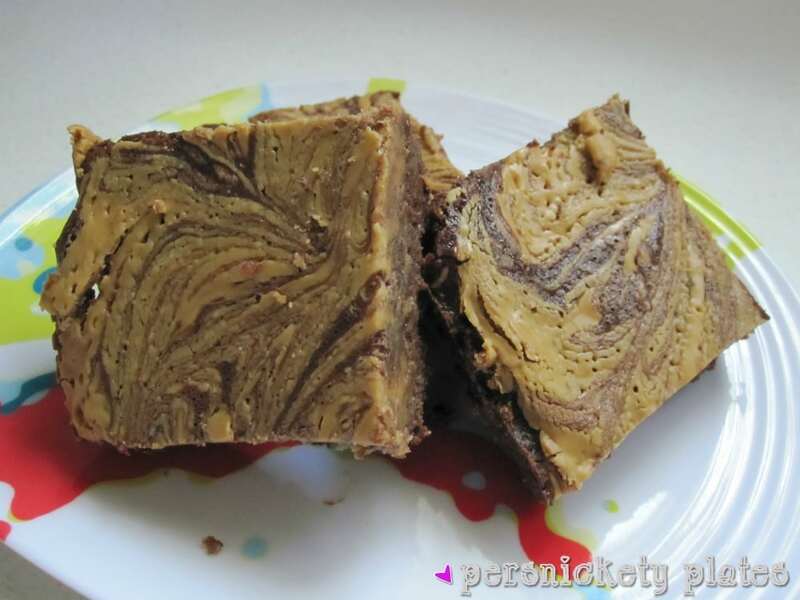 Drop melted peanut butter by spoonfuls onto the batter, swirling gently with a knife to create a marbled effect. 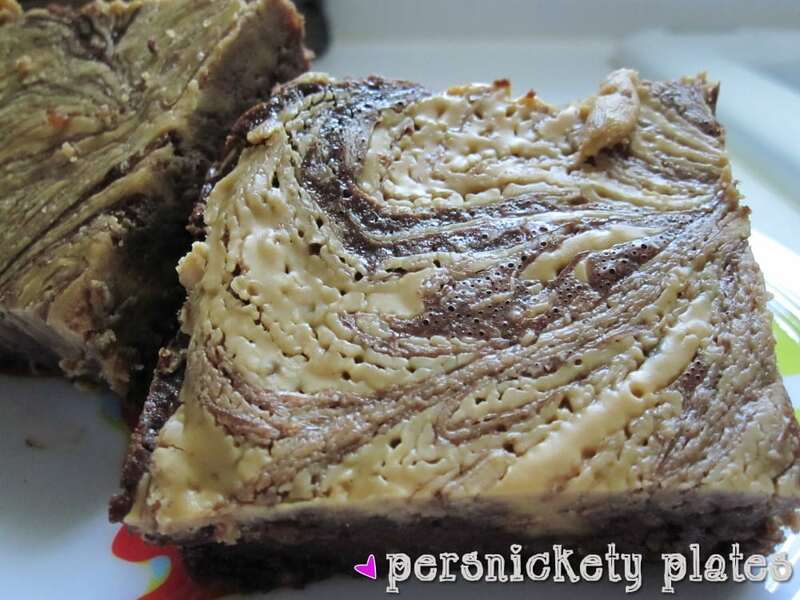 If you overmix, you’ll loose the marbling effect. Bake for 20-25 minutes or until brownies begin to pull away from the sides of the pan (mine took a little longer – more like 30 minutes). Wait until completely cooled before you cut them up. I put mine in the fridge for a little bit and they were awesome with a glass of milk. Oh! I almost forgot. I have my first giveaway coming up! Stay tuned, it should be next week & I think it’s pretty great. Oh my god, those looks so good. Please mail me some, right now. Seriously, stop reading this comment and send me some brownies…. YUM. 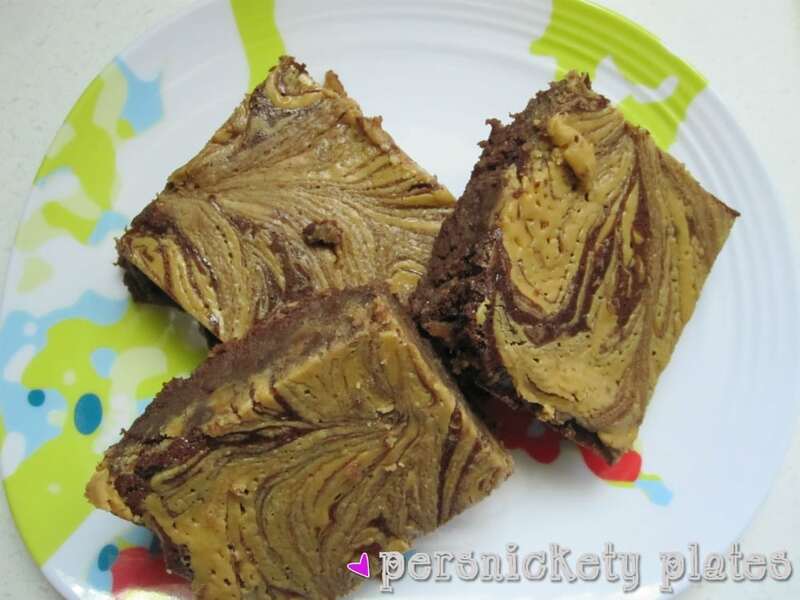 Love pb and brownies, especially more healthy! These look amazing! they make me sad that I don’t have an oven and can’t bake in the first place! These don’t look skinny at all Melissa – yummy! Just made these this morning with some yogurt that was getting ready to expire. I wasn’t sure they would turn out because the batter was really runny, BUT…They turned out terrific! Thank you for the recipe. My family loved them!